There are noticeable differences in the way B2C and B2B companies engage, interact with, and serve their respective customer bases. Traditionally, this was based on the significant differences in customer expectations from group to group. However, research indicates that this expectation gap is closing at an alarming rate. And this shouldn’t be surprising. 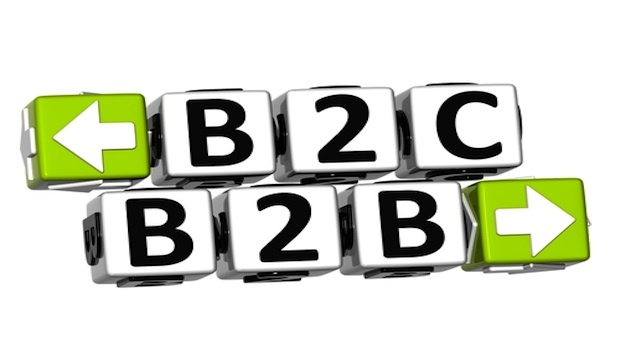 At the end of the day, the B2B buyer is a consumer too. As such, they have become accustomed to dealing with B2C brands that provide intuitive, interconnected, accessible, real time, personalized experiences. It would be unreasonable to think these same consumers readily change hats when entering their B2B buyer roles, and not expect to interact with their vendors in the same way. 70% of consumers say technology has enabled them to easily take their business elsewhere for an experience that matches their expectations. These studies further demonstrate how these changing B2C expectations are impacting the B2B environment at an accelerated rate. But before investing heavily in next generation CX capabilities to create an “Amazon-like experience,” it is critical to understand what your specific customers value. In other words, what improvements will result in them buying more, buying more often, staying longer, and referring others. This is another reason Voice of Customer (VoC) is so important. Unless you properly understand your specific customers’ requirements and the significant cost, time, and potential disruption associated with major technology enhancements, you may not even deliver the change in customer experience or buying behavior you expected. You should start by validating what your customers need, value, and are willing to pay for as they interact with your specific product or services. In addition to selecting the right customer experience capabilities, prioritization is also critical. Your customer base may not be interested in certain B2C type engagement models, or they may not be ready for them based on a variety of factors like their own internal limitations, complexity or employee demographic. Shannon has over 16 years of combined experience in sales management, sales operations and customer experience management and was most recently the Vice President of Global Customer Operations at TE Connectivity after its acquisition of ADC. Shannon’s corporate background includes leadership roles in sales, channel management, and customer experience. In these areas, he successfully initiates and oversees wide, enterprising transformation efforts, such as strategic planning, technology deployment, and continuous process improvement.